Media Art Net | Akerman, Chantal. In the first of Akerman’s longer feature films the camera becomes the ‹actress› who, with extended takes and tracking-shots, is moved through the empty spaces of the New York hotel of the same name—creating an architectural study likewise a psychic space. 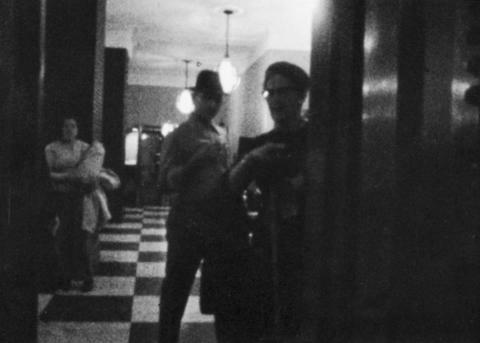 In Hotel Monterey and News from Home (1976), two of Akerman’s films made in New York under the influence of structural filmmaking, a fixed shot of an empty corridor, or of a crowded subway car (human absence, human presence), maps the range of possibilities of structural film. When the elevator door opens onto an empty corridor in Hotel Monterey, the image can be considered as a set of lines, colors, perspectival illusions. When the [camera] opens into a hall full of people, this moment of mutual acknowledgment intimates a register of performance for documentary structural film. 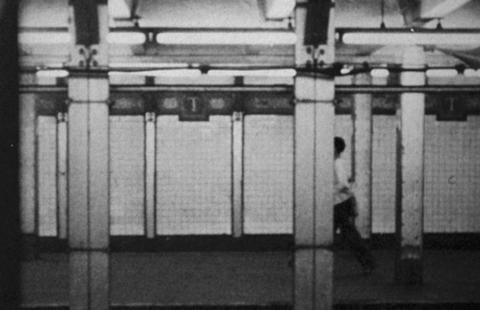 In «Hotel Monterey» and «News from Home» (1976), two of Akerman’s films made in New York under the influence of structural filmmaking, a fixed shot of an empty corridor, or of a crowded subway car (human absence, human presence), maps the range of possibilities of structural film.